Georgine Saves » Blog Archive » Good Deal: BodyBoss Home Gym 2.0 $129.99 & $139.99 + Ships FREE! TODAY ONLY! Good Deal: BodyBoss Home Gym 2.0 $129.99 & $139.99 + Ships FREE! TODAY ONLY! 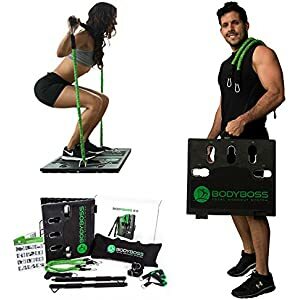 #ad Today only, 1-23-19, you can save up to 30% on BodyBoss Home Gym 2.0 at Amazon.com. This full portable gym is a home workout package. Consisting of 1 set of resistance bands, collapsible resistance bar, and handles. It provides full body workouts for home, travel, or outdoors. Shipping is FREE.